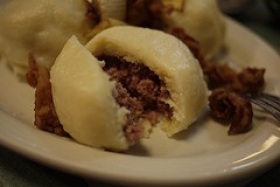 Have you made Bohemian Potato Dumplings? 1. Combine potatoes, eggs, and salt in a bowl; beat with a wooden spoon to combine thoroughly. 2. 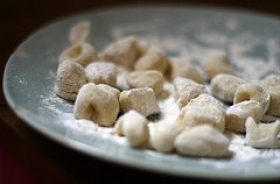 Add flour, enough to make a stiff dough; mix well. 3. 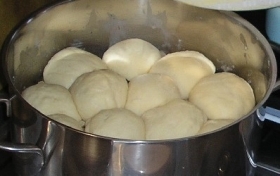 With floured hands, shape dough into balls about 1 1/2 inches in diameter. 4. Drop into a large kettle of boiling water; bring water to a slow boil again. 5. 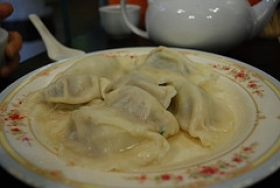 Cook about 12 minutes, or until dumplings rise to the top. 6. 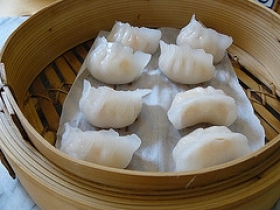 Test by tearing one dumpling apart with 2 forks. 7. Remove with a slotted spoon and drain. 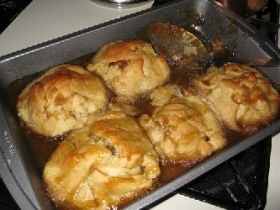 Serve with melted butter and a sprinkling of bread crumbs, if desired. I make them with 1 cup flour & 3/4 cup cream of wheat & 3 eggs. The recipe was incorrect it should be 1 cup flour. it says spaghetti but mentions flour in the recipe!!! This recipe contains potential food allergens and will effect people with Wheat, Egg, Gluten, Potato allergies.